Workshop dinner in the evening. The workshop will take place in room V1001. Once you step out of buses 9A or 9B in front of the university, building V is to your right, the room is on the 10th floor. To see the layout of the university, please go to the university site plan. Hourly trains from the airport to the main station in Konstanz (travel time: 1 hour). For train tickets, go to SBB. Regular connections to the main station (travel time: 3,5 hours). For train tickets, go to Deutsche Bahn. Take A81 in direction to Singen. Once you are in Konstanz, follow the signs to the university. Take A7 in direction to Kreuzlingen/Konstanz. Once you crossed the boarder, follow the signs for "Mainau" first and then look out for signs to the university. Buses to the university leave just in front of the main train station. Take either bus 9A or 9B, they will stop right in front of the main entrance of the university. On Monday night, we are planning to have a welcome dinner at the Brauhaus Konstanz, starting at 19.00. The workshop dinner will be on Tuesday night at 20.00 at the Konzil, right by the lake. 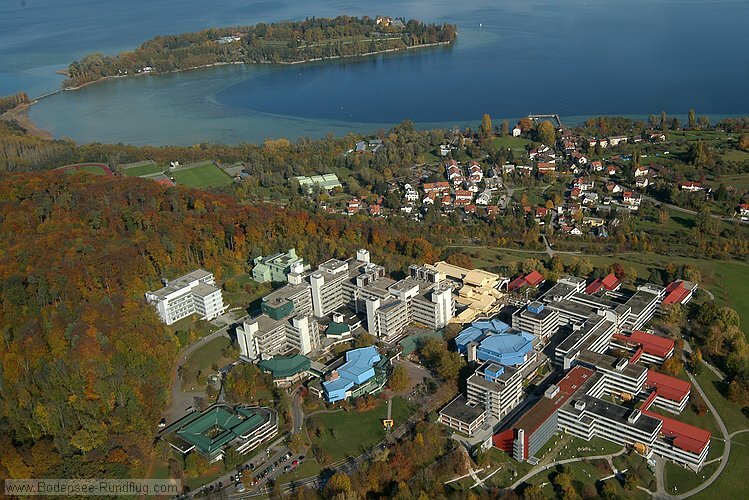 The workshop participants will stay either in the Hotel Bayrischer Hof or the Stadthotel Konstanz. Both places are not more than five minutes walk from the train station.